Since this game has an Endless Day after completing the main adventure, I recommend finishing the main adventure as soon as you can, and then go back to get the rest of the trophies. While completing the main adventure, keep track of the crests you pick up, so that when you go back through the castle after the main adventure, you will already know which crest you have, thus making it easier to find the ones you don’t have with the help of this guide. Aside from finding all of the Crests, the only other trophies that might give you some problems are the Potions and Flying ones. In the Potions making, you will be at a table with a cauldron in the middle, an assortment of ingredients around the cauldron, and a list on the right of the screen showing what ingredient tour pour into the cauldron to make it a certain color, what color to heat the potion to (alternate right stick up and down), or what color to stir the potion to (rotate the right stick clockwise). With Flying, it’s a little easier. You will either be controlling Harry or Ginny (Ravenclaw game/practice only) on a broomstick, and your main goal is to capture the Golden Snitch. While doing this, you will be required to fly through stars to keep your time bar filled (not shown, but the stars change color based on time left; green means plenty, yellow means about half, red means fly through another star asap). In addition to flying through the stars, you will occasionally have to contend with the rival Seeker. These guys will leave after you have bumped into them a few times, so after every star you’ve flown through, just ram into the other Seeker until they fly off. Use Wingardium Leviosa (right stick up, left, right, left) to lift the cauldrons, the use Depulso (right stick up 2x) to send them into the pond. After the Gryffindor Dueling, you will be asked to see Dumbledore. Exit through the double doors and head to your right where there should be an eagle statue. Approach the statue and a cut scene will ensue. Trophy is yours after the cut scene. Follow Katie Bell to the Quidditch Stadium and complete the Flying practice. Successfully make a Christmas Punch for Slughorn’s Party. The process here is the same as putting together a potion. Select the correct ingredient, pour in the correct amount, and stir until the Punch is the right color. Defeat Bellatrix Lestrange(2x) and Fenrir Greyback outside of the Burrow in a duel. If you want an easy, but still legit, way of quickly defeating these two Death Eaters, here’s what you can do. Since you don’t yet have the spell Levicorpus, the next best thing would be to use Expelliarmus (tilt left stick left, tilt right stick right) and start charging up a Stupefy (right stick hold down) as you walk up to the Death Eater. When they recover, blast them with Stupefy (flick right stick up). This should cause them to be knocked down again, giving you a window to repeat with the charged Stupefy. From Dumbledore’s Office, head into the courtyard and go to the far corner. Defeat the Slytherin student in a duel to retrieve the Gobstone, then return to Dumbledore’s Office. Using Wingardium Leviosa (right stick up, left, right, left), levitate Lavender’s bag and guide it around the room until you catch all of her books. After talking to Katey Bell, follow Draco to the bathroom. After the duel, a series of cut scenes ensue, and the trophy will be yours. After Harry has taken the Felix Felicis, watch as he makes his way towards Hagrid’s Hut, defeating Crabbe and Goyle in a duel along the way. After the duel, you be required to make some Fertilizer. After making the Fertilizer, you head to Hagrid’s Hut, upon which a cut scene ensues. Trophy is yours after the scene. Win the Quidditch match against Ravenclaw. Since you will not be graded during the story line Quidditch matches, just use this time to get the hang of flying as close to the center of the stars, that way you will be prepared when going for you “Master Of Flying” trophy. 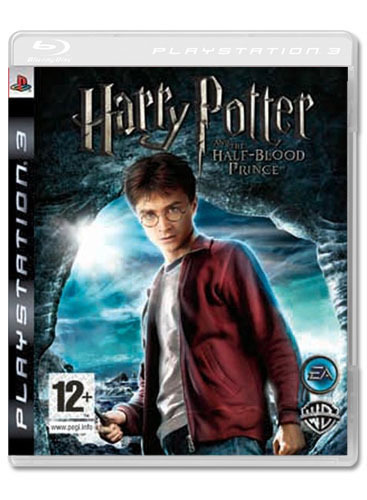 Fight off three rounds of Inferi until a cut scene with Dumbledore is shown. When you are fighting the Inferi, don’t stand still and try and aim at each Inferi as they come out of the water. This tactic may get you through the first round, but more start coming after you in the second and third rounds. Instead, immediately begin strafing left and right, firing off Stupefy (flick up on right stick) spells, regardless of if you see any Inferi. The Stupefy spells will keep the Inferi back long enough to advance through the three rounds. However, once you make it to the third round, you will probably have to start doing half strafes to one side, then immediately head to the other side because the Inferi on round three come out faster then previous to rounds, and with more coming at you at once. You will get this on your way to the Gryffindor Dueling Club after completing Potions Class. You will get this during the course of the game if you follow Nearly Headless Nick at every opportune moment. You will get this trophy after a cut scene with Severus Snape at the end of the game. 1-3. In the beginning of the game you walk straight passed these. 1. On pedestal straight ahead. 1. High on the tower on the right with the Hufflepuff flags. 2. On the staircase to the Training Grounds, behind the bench. 1. At the top of the steps from the Quidditch Stadium, turn right. It’s inside a plant. 2. From the Hufflepuff Dueling board, head around the outside of the fence. 3. Covered by plant on the wall to the left of the Herbology entrance. 4. From previous crest, walk along the wall towards Herbology and climb up the small stairs. 7. From previous Crest, walk to the right until you come to a doorway with a vase inside. Crest is above the doorway. 9. On a rock just outside the Herbology entrance. 1. Upon entering from Training Grounds, turn around and check above and to left of the door. 2. Head into the greenhouse on the left. Use Wingardium Leviosa in the corner to your left. 3. In the greenhouse with Potions Club, head all the way to the back room. 4. Straight back between the two greenhouses, next to a box of dung bombs. You will need to repair it. 5. Head to the door that leads to the Transfiguration Corridor. Go through it, and in a pot to your right will be the Crest. 1. In the doorway to (I presume) Ravenclaw Tower. 2. On the wall to the right of the Transfiguration Classroom. 4. On a bench just outside the doorway leading to Herbology. 1. Head to the Restricted Section in the back. The Crest is visible in the fence. 2. On your way to the back of the Library, a Crest is between two bookshelves on the right. 3. Out in the corridor, right next to the desk. You need to repair this one. 4. From previous Crest, head down to the end of the hall. It’s up on the wall. 5. From previous Crest, head to the stairway on your left. Crest is high up on the wall straight ahead as you walk in. 1. Above the huge double doors. 2. Above the entrance to the Potions Dungeon. 3. Behind the boar statue. 4. Head up the stairs and into the next corridor. Check behind some spiderwebs on your left. 5. Keep following the hall to the next door. Crest is above door. 1. On the wall to the left of the Hospital Wing. 1. Above one of the two doors. 2. On the ledge next to the door opposite the one with the crest. 3. Head through the door with the crest, follow the hall until given the option to go left. Check above the door down that hall. 1. Proceed straight out of Gryffindor Tower and down the stairs to the left. Look at the wall at the bottom of the next set of steps. 2. When exiting the Library portrait, head up the stairs to your right. 3. Head all the way to the bottom of the stairs. Check underneath the stairs. 1. Head down the stairs and into the curved hallway. Halfway through there will be a statue to your left holding a Crest. 2. Continue down the hall, and then down the stairs.Crest is in a gate beneath the stairs. 1. Head down the stairs and through the door and turn around to check above the door. 1. A Crest is in an alcove to the left of where the student drops the brass scales during your visit to find Malfoy. 2. Follow the hallway around until you see a Crest on the wall in front of you. 4. Head back to where you got Crest one and proceed through the door. The statue standing above the stairs has a Crest. 5. From previous Crest, check the bottom of the stairs for a Crest sitting beside the fire. 6. From previous Crest, head into the cave. Halfway through there will be a Crest on the rocks to your right. 7. Further into the cave. Usually get on your trip with Luna. 1-2. On the walls in the common room. 3. Up in the boys dormitory. 1-2. One to the left and one to the right of the castle entrance. 4. From previous crest, head towards the Paved Courtyard. It will be on the wall on your left, covered by a plant. 5. Just outside and to the right of the Viaduct Entrance door. 6. Head to the stairs leading down to the Boathouse. When you reach the first turn in the stairs, turn around. Crest will be sitting on the ledge behind the window. 1. When entering from the Grand Staircase, go into the curved corridor and turn around. Check above the door. 2. Keep following the corridor to reach the Paved Courtyard. Keep going straight and turn at the far corner. Crest is broken and straight ahead of you. 3. Head up the stairs in the courtyard and follow the path around to the next Crest. It’s behind another plant on the wall. 4. In the tunnel leading to the Boathouse, on the wall to the left. 1. On the wall behind the Boathouse. 2. From previous Crest, above door at the base of the stairs to the left. 3. Halfway up the stairs leading back to the castle. 1.Above the archway leading to the bridge. 2. When facing the bridge, look to the left. It’s in a plant. 3. In a plant to the left of Hagrid’s Hut. 4. On top of Hagrid’s Hut. 5. Halfway across the bridge. You will get this while heading to the Quidditch tryouts. 6. On the left side of the path heading to the Owlery. Will get on your way to Quidditch tryouts. 7. Next to a tree a short ways behind Hagrid’s Hut. 8. From Hagrid’s Hut, head straight up the hill. The Crest is in a wooded alcove to the left. 1. On the wall outside. 2. Behind the stairs when you first enter. 3. Head upstairs. Behind the stairs on the first platform. 1. On the wall straight ahead when entering beneath the Owlery. 2. On the ground just as you are coming to the underground pond place. 3. Head deeper into the cave. Eventually you will see it on the wall in front of you. 1. Straight ahead, just behind the bells. Stand to the left and use Wingardium Leviosa. 2. From previous Crest, turn around. It’s in a little alcove at the top of the steps. 1. Behind the ticker of the clock. 2. In pieces in the corner with the purple tree. 3. When facing the clock tower, in an alcove to the left. 4. When facing the bridge, on the wall to the left, covered by a plant. 1. In the gate behind you when facing the corridor. 2. On the wall above the sliding bookcase. 3. Head out into the corridor and follow it around the far corner. Check above door. 4. From previous crest, head up the stairs. Head down the next set. Check behind the statur at the bottom. 5. From previous Crest, head into the hall and take a right. Follow the hall till you come to a door. Crest is in an alcove on your right. 1. On the wall to the right when entering. 2. In the seats to the left when entering. 1. From the portrait, head to the room on the far right. Crest is inside the gate. 2. From previous Crest, head back out and take a left. Go left down the short steps then turn around. Crest is to the left of the center archway. 4. To the right of the Slytherins Common Room is a spiderweb with a Crest behind it. Successfully brew a potion. Can’t pass Potions class without getting this trophy. Make a potion in less than 35 seconds. Easiest when making the Wit-Sharpening Potion. Complete all Potions Club challenges. The Grade for each doesn’t matter for this trophy. I found the hardest potion to make to be the Stamina Game. The stirring required for that one is ridiculous. See “Master Potioneer Badge” for more advice. Join the Gryffindor Dueling Club. This happens naturally during playthrough. Win a duel without being hit. If you make it up to the point where you take the Felix Felicis and you haven’t gotten this trophy yet, don’t worry. In the duels you have with Crabbe and Goyle shortly after, you will not be hit, due to the effects of the Felix Felicis, and you will get your trophy after the first duel. Achieved a top grade in 10 duels. Best advice I can give you for these are fully charge up the Stupefy (hold right stick down) at the beginning of the duel, and dodge until you get an open shot, then release (double tap right stick up). Hopefully this will have knocked them down, at which time you can fire a Levicorpus (left and right sticks tap left) which will immobilize them in the air. You should have enough time to fire off a fully charged Stupefy and a couple weaker ones before they either regain their composure or lose the duel. Repeat as necessary. The following are the scores I achieved. I couldn’t tell you which ones got me the top grade, but there are ten in there, so aim for these scores and you will get this trophy. Become the Champion of all four Dueling Clubs. They are Gryffindor (Great Hall), Hufflepuff (Training Grounds), Ravenclaw (Transfiguration Courtyard) and Slytherin (Paved Courtyard). All you need to do is beat all 16 duelist, top grades not counting toward the trophy. You get this trophy at the beginning of the game after the flying lesson with Ginny. Played each Flying Club game. Best place to do this is in the main menu. Click clubs, scroll to Flying Club, and from there you are able to replay the Quidditch Matches, which need to be replayed to count towards this trophy.